Can you share with us the configuration of your multiple choice lookup table ? 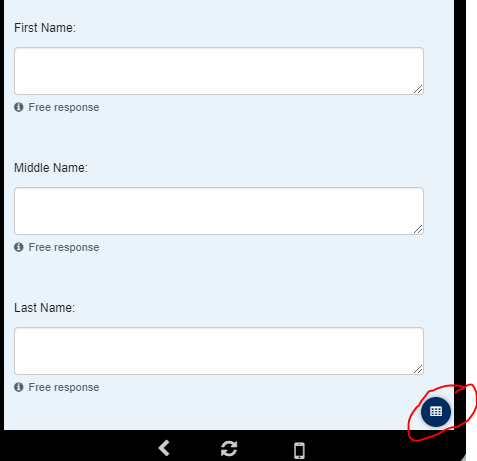 You can add a filter if you want to reduce the number of choice based on the district the chw is in. 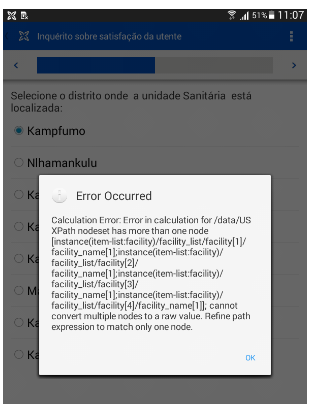 Below is the configuration of the lookup table data in the app builder. I have read the page you have suggested but I still don’t figure out how I can save the facility name in a hidden value. You can find instructions on how to load a reference to a lookup table on this wiki page, you’ll need to write a reference which loads the value of the Multiselect question into an instance() reference to pull back out the facility name. Thank you, Clayton. I will read the page. I have put the expression below in the calculate condition of the hidden value but I get an error when I select district name on the form. There may be a problem with the expression. Yes, there is more than one facility per district. Please, how would the whole expression be for the two filters? to filter by more than one criteria. If you’ve introduced a filter into your lookup table, the first condition would likely be that filter, and the second condition would be the selection from the multiple choice question. Thank you very much for your help. 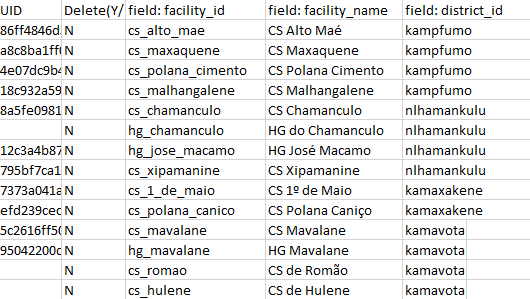 By putting together blocks of brackets as you suggested, I managed to get the facility name saved in the hidden value and it now shows in the report.